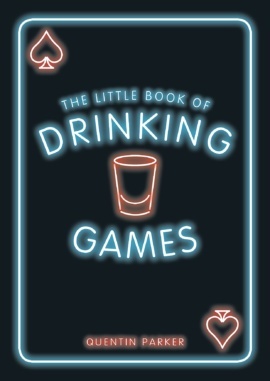 Liven up the party with this heady collection of drinking games! Choose from brain-boggling classics such as Fuzzy Duck and Twenty-One or dizzying games of pure chance like TV Drinking and Vodka Roulette – whichever you play, you’re guaranteed to be gleeful and giggly by the end! Quentin Parker works hard and parties harder. He enjoys socialising with friends on weekends but favours the hangovers a lot less.